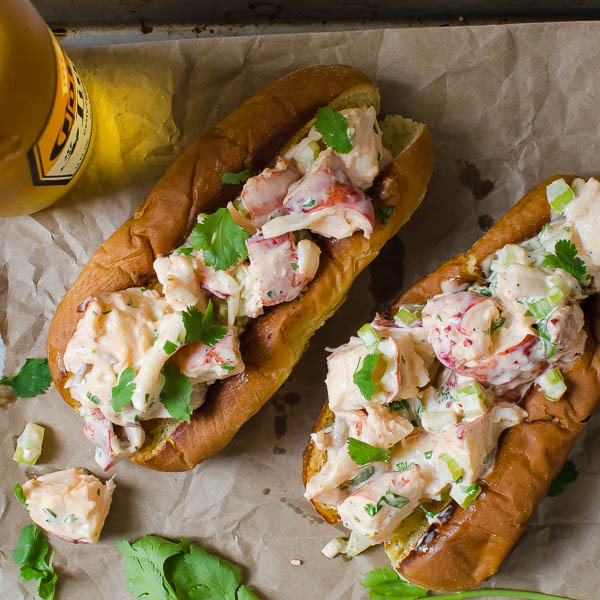 Want a twist on a lobster roll sandwich? 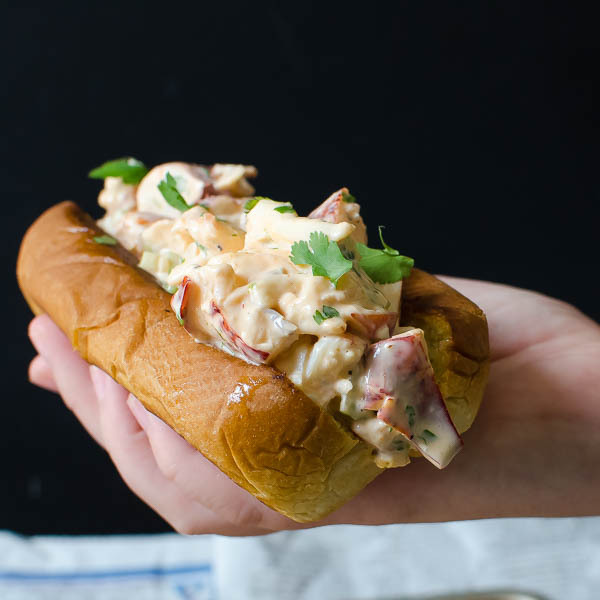 Sriracha Lobster Rolls take the authentic lobster roll recipe to a new high! With instructions on how to cook a live lobster and mix up a spicier New England roll. 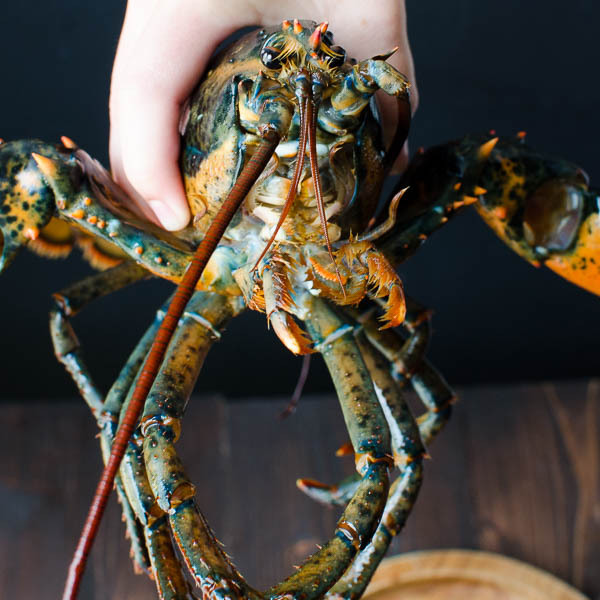 Raise your hand if you’ve ever bought (or caught) a live lobster and cooked it yourself. It’s not something you do everyday, right? First, they’re cost prohibitive (that’s why I saved them for a special occasion – Happy 4th of July!) Second, if you’re the squeamish sort, there’s that whole “cooked alive“ thing which can be off-putting for some. I grew up cooking bushels of live blue crabs in a big pot over a propane burner every summer, so I’m less sentimental than some. My daughter, on the other hand, had made friends with the crustaceans between the time we left the market and arrived home. She was horrified at having to choose which one went into the pot first, but the promise of Sriracha Lobster Rolls eased her guilt. A little. She set the lobsters on the counter, while I readied the pot with a steamer basket. My pot was only large enough for one lobster at a time and so when I removed the first steaming, bright red crustacean and set it on the cutting board, the other lobster either saw it or smelled it and put up quite a tussle, spreading its claws wide and flapping its little legs wildly. Em felt really bad for him. When the drama had faded, I got down to picking the meat. I used sharp kitchen sheers to slice through the tail and pull out the meat in one large chunk. I struggled a bit with the claws because my crackers weren’t tough enough for the shells, but eventually I scavenged every bit of meat from the lobsters — and saved the shells for stock. Let’s just take a moment to bask in all that glorious lobster meat! 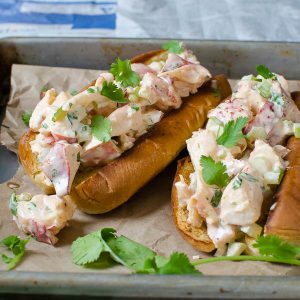 This is seriously decadent – but I figured summer is THE TIME for New England style lobster rolls and what better way to celebrate the 4th, right?!! Add the lobster to the spicy Sriracha sauce and fold it in. Cover and refrigerate until you’re ready to serve. To build the New England rolls, DO NOT use plain white bread. Do not get fancy with a multi-grain ciabatta. Don’t even think about a french baguette. 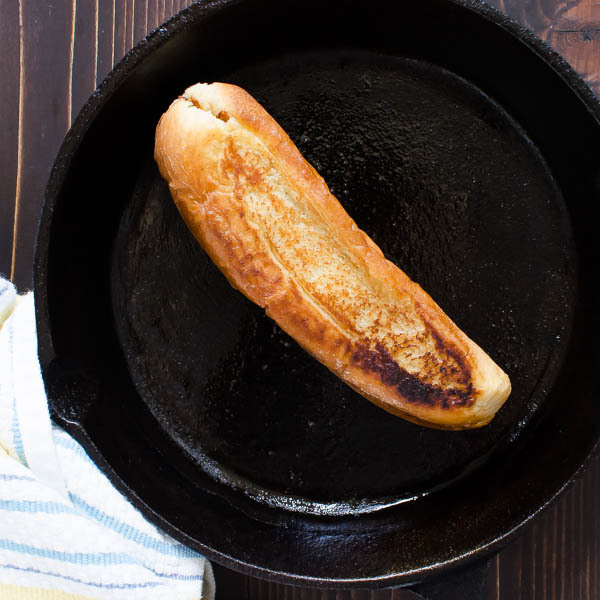 A top-split potato roll, brushed inside and out with melted butter, then lightly browned (preferably in a cast iron skillet) is the only way to go. I repeat — THE ONLY WAY TO GO! 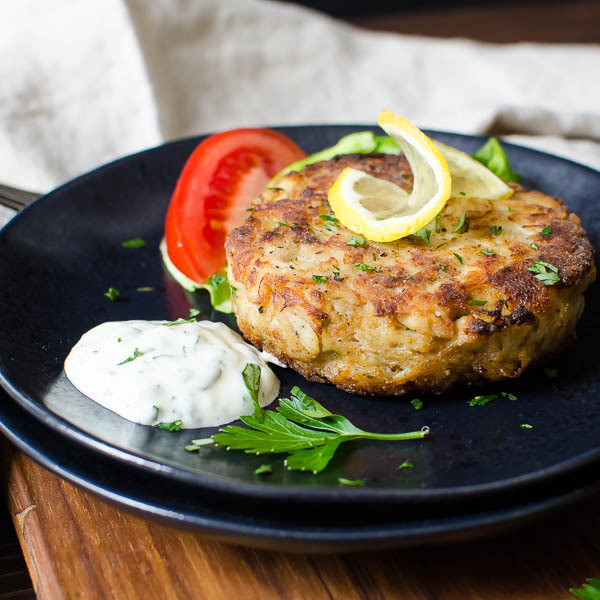 Buttery and lightly crisped, but soft enough to soak up the dressing – this is the perfect (and only acceptable) conduit for transporting the lobster from your plate to your mouth! 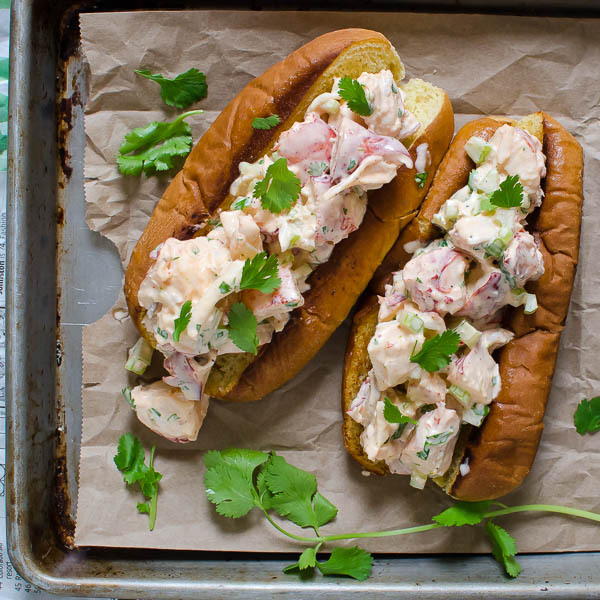 I may be biased, but I believe the best way to enjoy these luxurious lobster salad sandwiches is sitting poolside, in your bathing suit with kettle chips and an ice cold beer. Enjoy and have a safe and relaxing 4th of July! If you can't make it up to New England, this is the next best thing - with a spicy kick of sriracha! 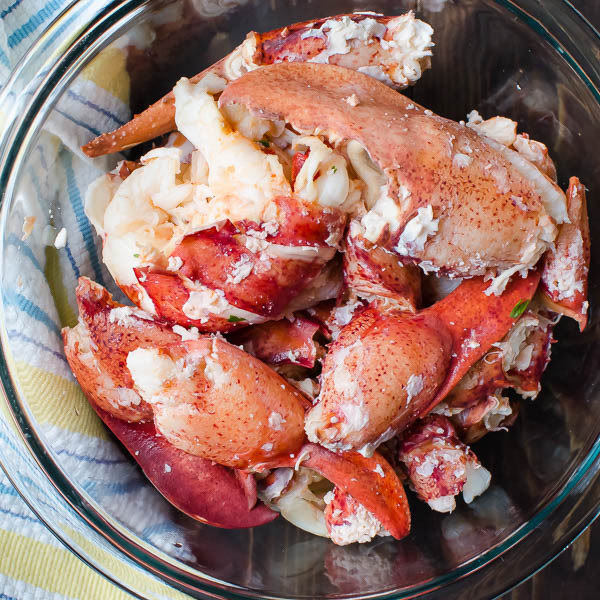 If you have live lobsters - use a large pot with a steamer insert to cook the lobsters in. For a 1 1/4 pound lobster, it should take about 14-16 minutes to cook. Add about 1 inch of water to the bottom of the pot and add 1 tablespoon kosher salt. Put the lid on the pot and bring to a boil. 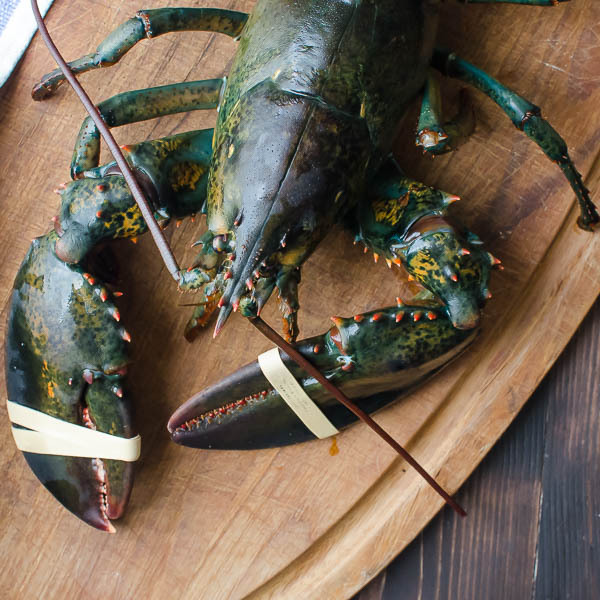 Place the lobster into the steamer basket and cover tightly with the lid. 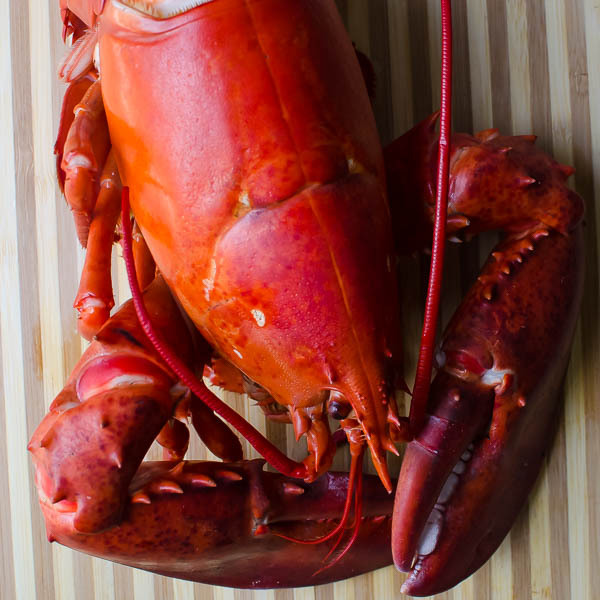 Steam the lobster until bright red and fully cooked. Remove the lobster and let sit until cool enough to touch. Remove the claws and twist the tail off the head. Use a sharp pair of kitchen sheers to cut through the underside of the shell until you can remove the whole tail. Use lobster crackers to crack the claws and remove the meat. Set aside. (BTW - don't toss the shells -- they will make excellent stock. Put the shells in a freezer-safe baggie and freeze until you're ready to make stock). 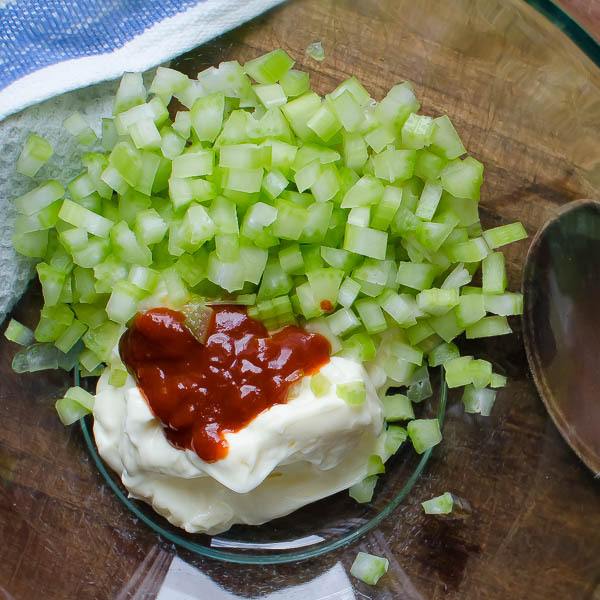 In a large bowl combine the mayonnaise, celery, sriracha, lime zest, lime juice, salt, pepper and cilantro. Stir to combine and set aside. 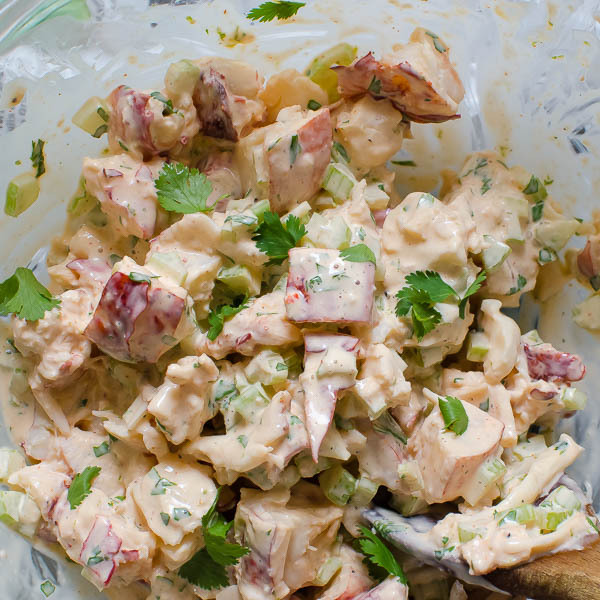 Cut the lobster into bite-sized chunks and add it to the mayonnaise mixture. Cover and refrigerate for at least an hour and up to 6. To serve: heat a cast iron skillet over medium heat. Brush the outside and inside of the bun with melted butter. Place the bun in the hot skillet and cook both sides as well as the interior, just until it starts to get a golden color. Remove from the skillet and pile high with lobster salad, a few sprigs of fresh cilantro and extra sriracha sauce, if desired. I can’t say I have prepared one myself, I wouldn’t be able to bring myself to do it lol My partner would love these rolls, though! You have to steel yourself to plunge them into the basket! You had me at sriracha. We don’t eat a whole lot of lobster round here, but this has got me wondering why. It looks delicious! 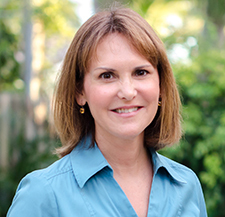 Thanks, Danielle – if you can’t find lobster – shrimp would be an easy substitute. 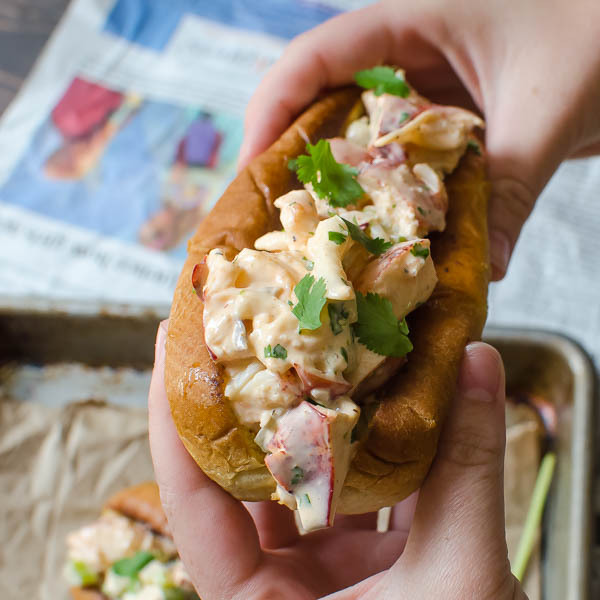 I’ve been eating SO many lobster rolls on my Maine vacation, but now the first thing I want to do when I get home is to make this sriracha version! It looks so delicious! Jealous that you’re on the Maine vacation I’ve been dreaming of! I love lobster rolls but I am pretty sure I would love this version even better than the classic! Gorgeous shots! This looks absolutely fantastic…I’m craving lobster now! Pinning for later. We love spice, so sriracha is a winner here! Thanks for the compliment! I appreciate it! Thanks, Kelsey! It was funny watching her talk to them! Awww the poor little lobster!! That would freak me out. The rolls look delicious though! Like I said –I’m not that sentimental. Those look amazing! And with sriracha!! That’s new for me. Glad you’re digging it, Diana! Everything tastes better with sriracha! My husband would love these lobster rolls! Emily is an animal lover at heart – LOL! She had no qualms about “eating” her new friends! Now that is what I call a piece of indulgence that I can completely get behind, love that you have not messed too much and kept it fairly simple… With ingredients that good less is always more! I love the addition of sriracha. I’m adding it to all my favs this summer! I know, we just can’t get enough! Wowza! Those look fantastic! We covet heat here too…in fact I’d say I have more of a “spice tooth” than sweet tooth! Happy 4th to you as well! ??? Happy 4th! Lobster rolls for everybody! 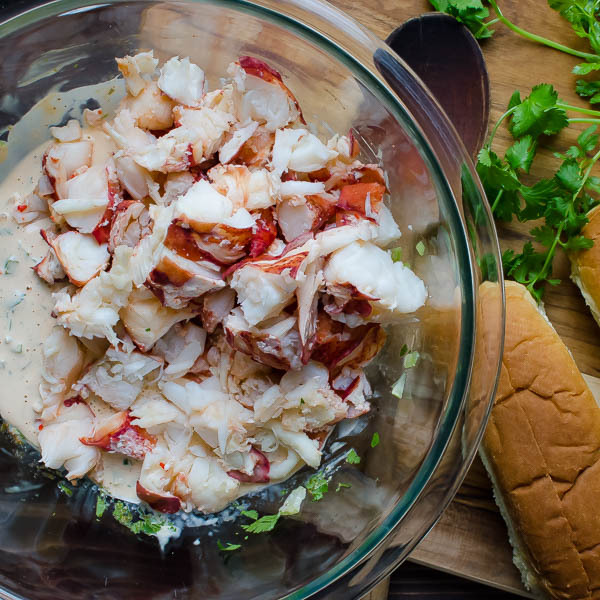 Ever since we left New England I’ve been dreaming about lobster rolls, yours look absolutely ravishing, and your photos are incredible — this is a fabulous post! Thank you so much, Sue! I really appreciate it! Perfection! I haven’t had a lobster roll in ages and now I really, really fancy one! I know – when you haven’t had one in forever — it’s time! 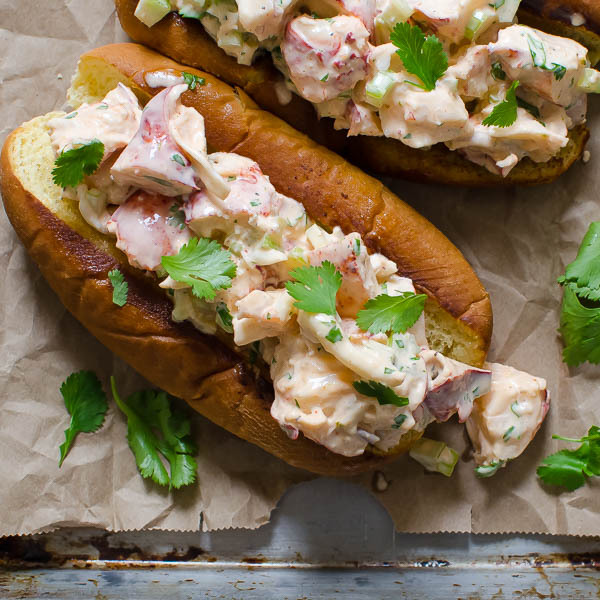 These lobster rolls look amazing! I have never tried making lobster at home but I will have to!